For decades herbalists and writers have praised how the Balm of Gilead has been used in a variety of ways to help with many health ailments. According to Herbalist Alma Hutchens in her 1991 book Indian Herbalogy of North America, many poplars are used interchangeably to produce crude drugs and extracts. Although poplar bark is frequently harvested for medicinal preparation, the buds, which many refer to as being called the Balm of Gilead, contain a therapeutically active exudate that is approved by the German Commission E for the topical treatment of skin injury, hemorrhoids, frostbite, and sunburn. Between 30 and 40 species of poplar grow throughout North America and although there is ample evidence that shows these are highly medicinal; however, poplar buds are not the true Balm of Gilead. Ancient cultures discovered and utilized the medicinal and therapeutic values of spices and incorporated the burning of incense as part of religious and social ceremonies. Three ancient resinous spices were once considered the most important, they were: frankincense (derived from Boswellia spp.) and myrrh (derived from Commiphoras spp. ); both originated from southern Arabia and the Horn of Africa. The third was very important resinous spice was the Balm of Gilead of Judea which is derived from Commiphora gileadensis. In the book of Genesis there is the telling of the story of Joseph being sold by his brothers to Ishmaelite traders heading for Egypt. Genesis 37:25 says “And they sat down to eat bread: and they lifted up their eyes and looked, and, behold, a company of Ishmeelites came from Gilead with their camels bearing spicery and balm and myrrh, going to carry it down to Egypt.” This brief account suggests that balm from Gilead was highly desirable in the ancient Middle East, valued for its special healing properties. Balm of Gilead, also known as the Judaean balsam, once grew only around the Dead Sea Basin and achieved fame by its highly reputed aroma and medical properties but has been extinct in this area for many centuries. The resin was sold by weight, at a price twice that of gold, the highest price ever paid for an agricultural commodity. This crop was an important source of income for the many rulers of ancient Judea. Balm of Gilead (tzori Gilead in Hebrew) is described in the Bible as the gift that the Queen of Sheba gave to King Solomon. In Judea, it was grown around the Dead Sea for about 1,500 years. The name ‘‘Balm of Gilead’’ is probably derived from the Hebrew word bosem, which means ‘‘to be fragrant’’, and Gilead, an area east of the Jordan River in the centre of present Jordan. The Hebrew name for balm of Gilead, apharsemon, is related to the similar word opobalsamum in Greek. 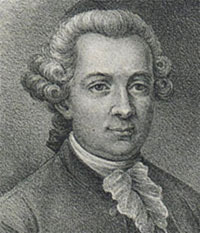 In 1763, Pehr Forsskal, ( a Finnish/Swedish explorer and naturalist), on behalf of the King of Denmark and Norway, collected and described a balm of Gilead tree on an expedition to Oude, Yemen, whose aim was to find and identify the balm of Gilead of the Bible. Following the biblical stories and also those of the many Greek and Roman writers, geographers, and historians, including Josephus Flavius, Forsskal traveled to Yemen, where the Kingdom of Sheba was located, hoping to find this tree, which had become extinct in Judea. Unlike the myrrh tree, the local Yemen experts probably were not aware of the balm of Gilead. After a long and stressful journey, Forsskal eventually found one small tree at Oude whose leaves emitted a special fragrance when crushed. Forsskal sent a message about his exciting find to his respected mentor Linnaeus. Oil of Balm of Gilead was considered to be the most valuable oil used for medicinal purposes. 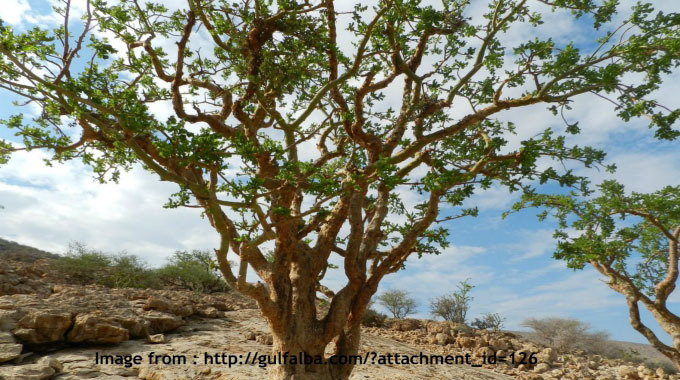 Commiphora gileadensis, (Commiphora opobalsamum), the Arabian balsam tree, is a shrub species in the genus Commiphora growing in Saudi Arabia, Yemen, southern Oman, Sudan and in Egypt. In the Bible, and in the works of Bruce Theophrastes, Galen, and Dioscorides, the Arabian Balsam tree is highly praised. This small tree is about 3 to 4 metres (10 to 12′) tall when mature. It has wand-like, spreading branches. The bark has a rich brown colour, the leaves are trifoliate and they are small. It is a rare tree, and for those who try to grow the Arabian Balsam tree find it is difficult to rear. This tree is valued so much by the Turks that its importation is prohibited. They have grown the trees in guarded gardens at Matarie, near Cairo, from the days of Prosper Alpin, who wrote the Dialogue of Balm. This tree was sought after for its medicinal values. The Arabian Balsam was traded with other medicinal and perfume components and was included in medical prescriptions, as documented in the Cairo Geniza of the mid-11th century. Healers of that time period would peel the branches and sell the bark for “heating the body” or they would press the wood and sell the extracted substance. During the Mamluk Period, balsam oil was sent from Egypt to the places of healing (hospitals) of Syria for patients suffering from “cold” diseases, namely backache, knee pain, and catarrh. At some point in recent time, someone took the name Balm of Gilead and applied it to the poplar buds. There does not appear to be any definitive moment in which this happened nor any logical reason as to why. In 1931, Margaret Grieve had the first volume of her book Modern Herbal published and back then, Balm of Gilead was still referred to as being Commiphora gileadensis. She also indicated that Populus Candicans (Populus balsamifera) is called Balm of Gilead in America. There is not a doubt that the medicinal qualities in poplars, cottonwoods and aspens can leave you in awe, but it is very important to realize that the buds from these trees are not the genuine Balm of Gilead. 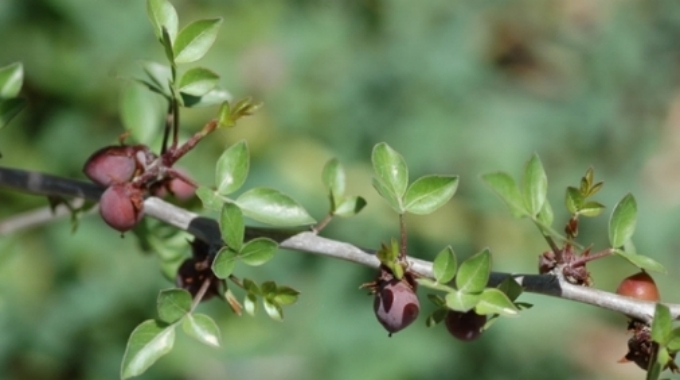 There are medicinal similarities between poplars and the Commiphora gileadensis so this may have some reason to do with taking the name Balm of Gilead. However, there is the possibility that someone, somewhere, mixed up the Arabian Balsam tree with the Poplar Balsam (Populus balsamifera). So the next time you see blogs on the Internet praising the virtues of the Balm of Gilead, or how to make this ointment, you now know that they are not writing about the genuine Balm of Gilead. Medicinal Properties of Commophora gileadensis. 2010. British Herbal Compendium, Vol. 1. 1992. Thank you. I don’t just regurgitate what is out there…I research! Wow great information. Your way of sharing your wisdom amazes me. You are a very good teacher. Lee thank you so much for your kind words and support. If you’re going to do something – do it right and do it thorough. Words my father once drilled into me! Wow you are a researcher and true thinker. You are one heckova leader! This is amazing info! You are the only writer who is complete. You write well, you actually research. Are you an herbalist? Oh my thank you. And yes – a chartered herbalist.